We’ve updated the system to provide improved multi-team support available for larger team and enterprise accounts. Easily create and manage teams within the system. Assign users to teams and control “who see’s what” within the teams. Please note that multi-team mode is disabled by default. 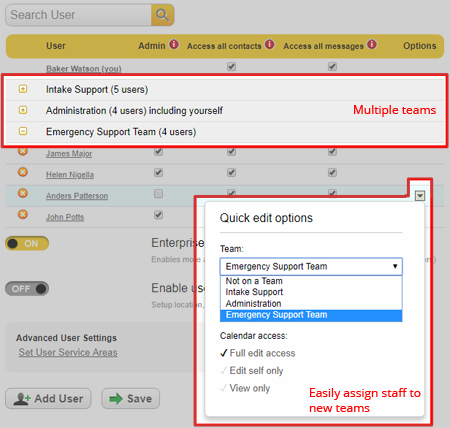 Please contact us at support@yellowschedule.com if you would like to enable multi-team support. User level calendar read/write controls. We have introduced a way to provide admin level control over which users have access to make changes to appointments across calendars on our team and enterprise accounts. 1) Full write access to all calendars. 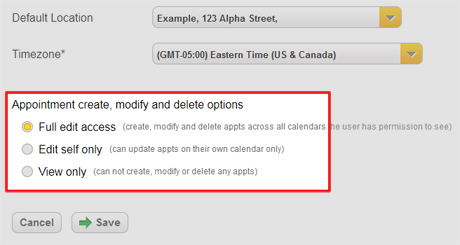 2) Write access to only their calendar, but view only access to co-workers calendars. 3) View only access to all calendars. 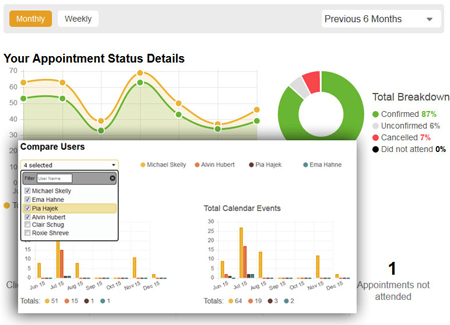 This works in tandem with the existing permissions system to give finer control over who can change appointments. So, for example, an individual user may have access to only a single team within part of a larger company. With these controls, they may still be able to view their peers’ calendars, but they can be prevented from changing them. If you want to try out these controls but don’t see them in your account please shoot us a support message to enable this option on your account. We have an upcoming scheduled maintenance period due for Sunday Morning the 18th of February at 7:15am (GMT). The software on our firewall is to be upgraded which will require a reboot of the firewall. It’s expected that during this reboot our service will be offline for a few minutes while the firewall restarts. We have timed this maintenance period to happen during a timeframe with the least amount of disruption possible. One of the most user-requested features recently has been a way to add customizable status options for appointments – beyond the fixed options of “Confirmed”, “Cancelled” and “Did not attend”. This option is now finally available. Custom statuses integrate with the rest of the system filtering through to the calendar and dashboard. 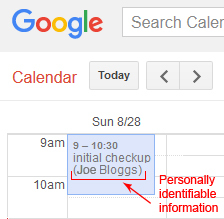 Color-coding means the appointment shows up with a new colored ‘dot’ indicating the appointment status directly from the calendar. 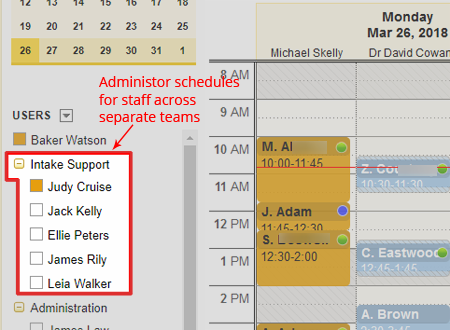 See the support document to see how to setup custom appointment status options. Please note that custom appointment statuses are not currently supported on the mobile app. Our alerts system notifies you when something important has changed in your schedule. 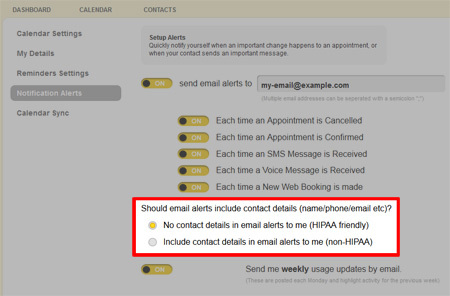 We’ve updated it to remove any contacts details from the alerts by default. There is an option under “Settings” > “Notification alerts” to allow you to continue to see contacts details in the alerts if necessary. We’ve also prettified the alert template a little to bring them up to the standard of our other system generated emails! 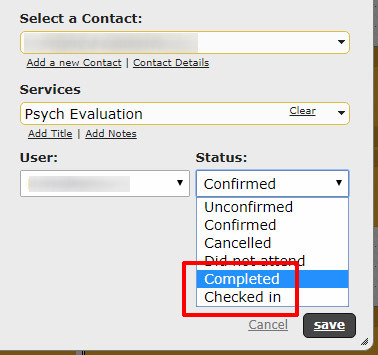 We’ve added a new feature to allow client bookings to be screened before they are accepted. With this option enabled you will need to Approve or Decline each new client booking on a case by case basis. When this mode is switched on. Each new client booking must be approved or declined. You’ll be notified by email when you need to make a decision. You’ll also see an indication on the dashboard that new bookings require your approval. 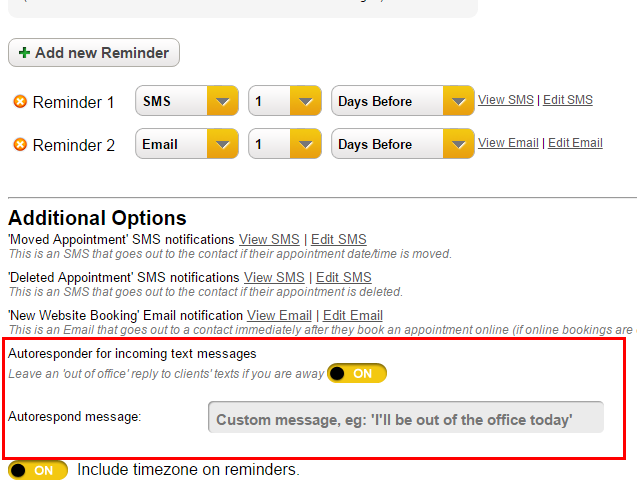 After Approving (or Declining) a booking you’ll have an option of notifying the client via text message. We’ve made some updates to the system to improve the speed of display of the dashboard. We’ve also put in place an update to the booking system to improve the responsiveness of the booking widget as it on mobile screens. This ensures that on smaller resolution devices the widget will display in a cleaner, narrower profile making it easier for your client to book their slot. We will be releasing major functionality and responsiveness updates to the booking system over the coming weeks. We’ve made updates to appointment services to give extra control to users. 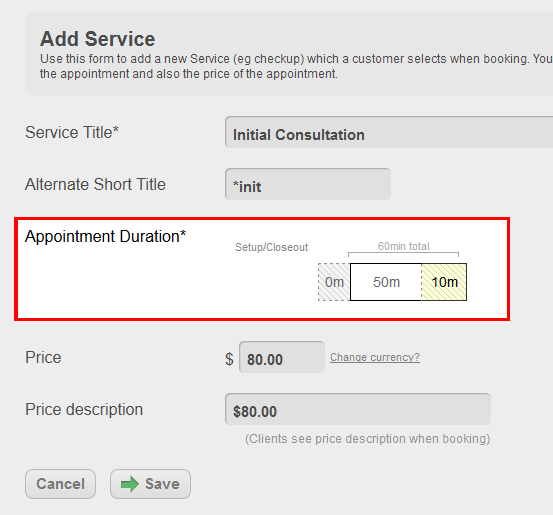 We’ve added the ability to fine-tune the duration of services. Users can add padding at the beginning or end of an appointment for administrative time used to Setup or Closeout the appointment. Storing patient data in the cloud? YellowSchedule is designed to HIPAA specifications and we’ve put a great deal of effort into ensuring data security and privacy. 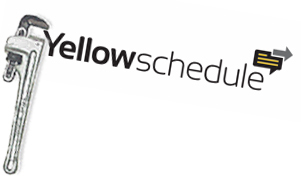 YellowSchedule allows you to be HIPAA compliant, but you still need to be careful. Particularly if you are syncing data with different tools which are outside of our control.